I grew up in Winston-Salem, and later in New Orleans, Louisiana. My grandparents bought the house on this listing 60+ years ago, and I bought the home from them when they retired because I loved the home so much and wanted to keep it in the family. I am a professional with a wife and two young children. I truly enjoy all aspects of the hospitality business! This home is a special part of my family, having been owned by my late grandparents. My father and aunt and uncles were all raised in the home and we share many memories of family times there. We have restored the home perfectly with all the charm of the 1920s, while adding new plumbing, HVAC, a modern and bright kitchen, and electricity for safety and convenience. The yard is beautifully terraced, with 3 tiers of yard space. We love this house, and we're sure you will as well. We want you to feel like you're at a home away from home. We are responsive and available to help with any of your needs during your stay. 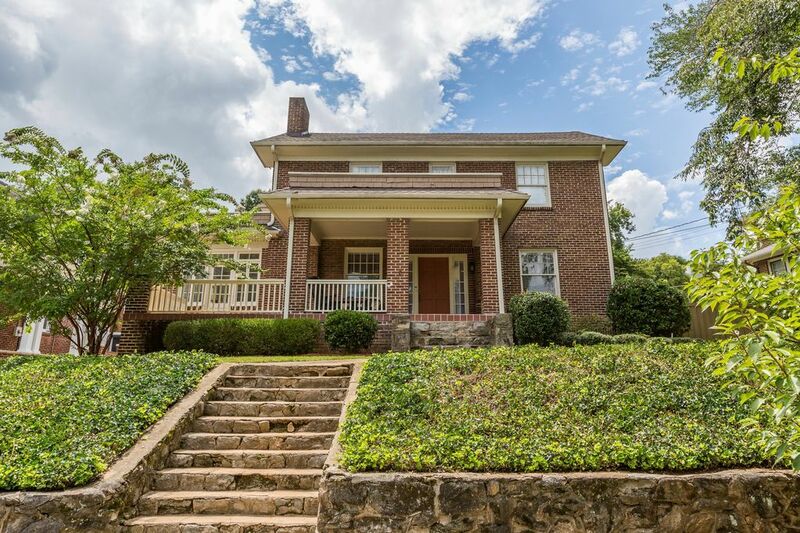 This 1920s gem is across the street from beautiful Hanes Park, with playgrounds, tennis courts, and more. We are also less than a half mile from Wake Forest University Medical Center, as well as less than a half mile from downtown, Publix, Trader Joe's, and Whole Foods and dozens of great restaurants and other attractions very nearby. Located right off business I-40, it is very convenient for travelers. It's a short Uber or Lyft ride to all the vibrant downtown life; the arts district, breweries, cool restaurants, music, boutique theatres, shopping, as well as easy access to wonderful museums such as Reynolda House, SECCA (free! ), and the must-see Old Salem. It's also a great area to get in your FitBit steps, and you'll see many walkers, joggers, dog walkers, and bike riders in our neighborhood. Winston-Salem is rich with history and continuing to grow, and our home is close enough to the very heartbeat of the City of Arts and Innovation to be convenient for sightseeing, yet is located in a family neighborhood, making it the perfect haven of tranquility for you and your guests. You can relax and "get away from it all" under the lighted backyard pergola, sip coffee in the morning in the truly unique and artsy window filled sunroom, or simply kick back on the fully reclining plush leather sofa. Whatever your pleasure is staying in or going out on the town, you're sure to feel rested in the morning after sleeping in our comfy and clean beds! Mi Casa Es su Casa! 2 car garage, but you can park 2 deep so you can actually fit 4 cars! We supply all kitchen supplies, utensils, and dishes you might need! Also, Keurig pot included. Currently set for 10, but at your request, we will add a table leaf to accommodate 12 dinner guests. Smart TV in kitchen, large screen in living room. Some toys and children board games available. Across the street at Hanes Park. Great house for a reunion of high school friends who now live around the country. House was spacious, clean and well equipped. The Hawthorne house was great! It was within walking distance to Whole Foods and great dining. I would highly recommend staying here! House has great space, centrally located, and everything you need for a great vacation. Eric is easily reached and willing to help if needed - and added some nice touches to make us feel comfortable. Highly recommend if looking for a family friendly, comfortable and convenient home in the Winston Salem area. Great property, great location! A perfect fit for two families with 4 little ones. Especially loved the big dining room table which could seat all 8 of us for dinner easily. Although we did not spend much time in the backyard, it was a lovely and relaxing space. This house was awesome and everything was great! Will definitely stay here again! !